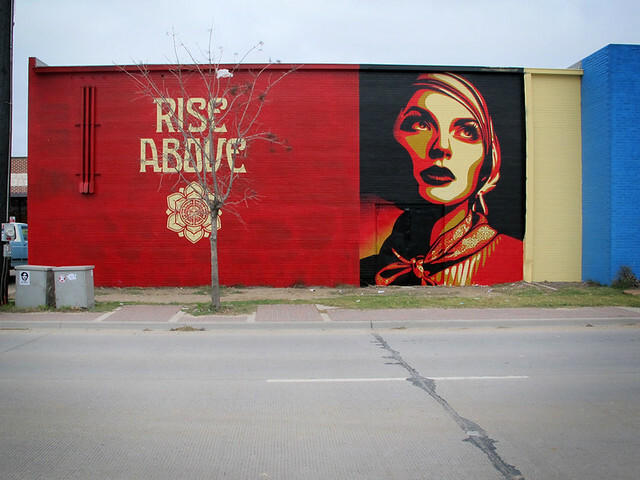 I'm a big fan of Shepard Fairey's work. 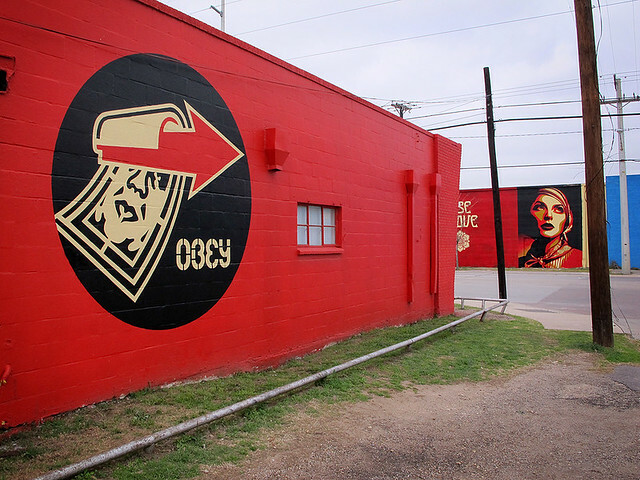 After enjoying his OBEY Giant work for years, I finally found out who he was from an article in Print magazine, back in May of 2000. With most great artists (and musicians), he just recently hit the mainstream media with his world famous "Hope" poster of Barack Obama - back in 2008. He's finally come to Dallas. What is really cool is that he did it for free. 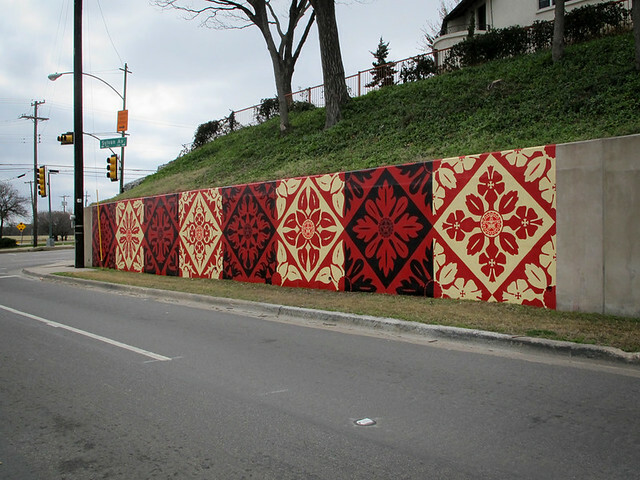 Earlier this month, The Dallas Contemporary invited him to paint some murals around town. 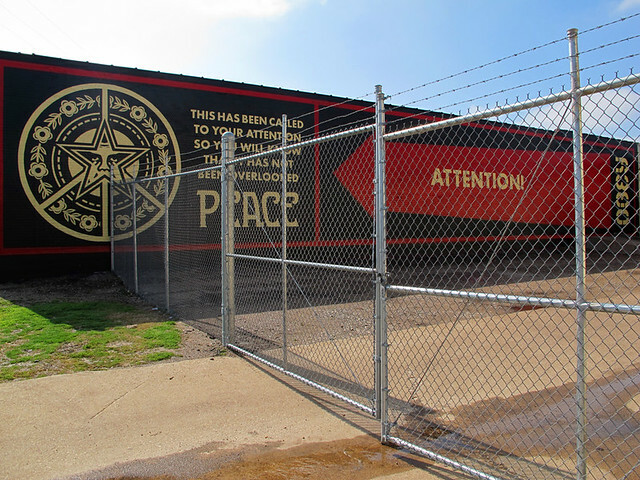 Within a week, he and his team left us with 5 really cool landmarks - 3 are on Singleton Boulevard, coming off of the new Margaret Hunt Bridge, 1 is along the wall near the Belmont Hotel, at Fort Worth Boulevard and Sylvan, and the 5th one is at the Dallas Contemporary. 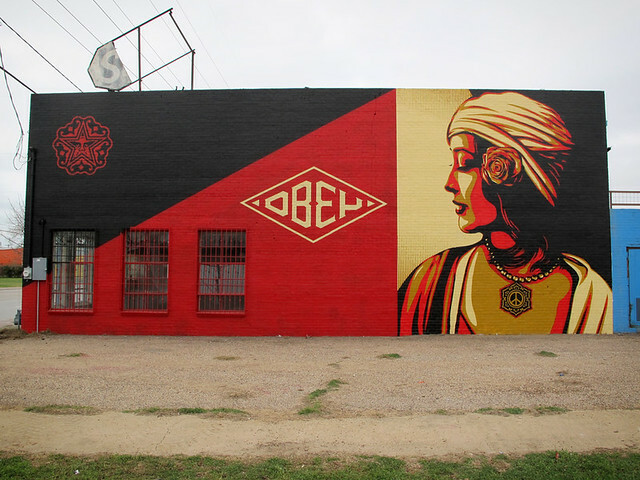 Click here to see all of my pics of Shepard's Dallas work.